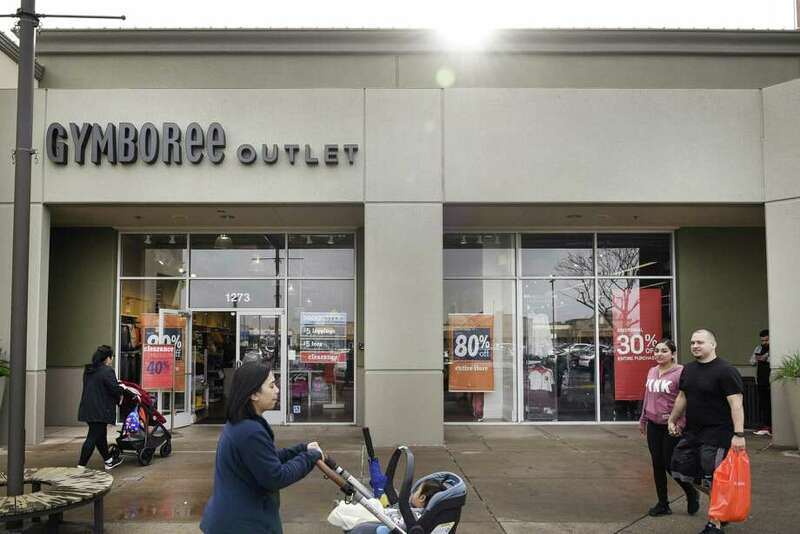 People walk past a Gymboree Outlet offering store-wide discounts, in San Leandro, CA, on Thursday January 17, 2019. Gymboree Group filed for chapter 11 bankruptcy late Wednesday and is planning to close all its Gymboree and Crazy 8 brand stores. Its intellectual property, GymboreeÕs online platform and its higher-end Janie and Jack line is being sold to Special Situations Investing Group, an affiliate of Goldman Sachs, pending court approval. What began as a possibility has become a certainty: Gymboree Group Inc. has filed for bankruptcy for the second time in less than two years. The parent company of the children’s clothing retailer of the same name announced Thursday that it and its subsidiaries officially filed for Chapter 11 with the U.S. Bankruptcy Court. A statement on the company’s website from CEO Shaz Kahng confirmed national reports projecting the filing earlier this week. 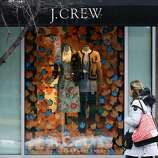 The same statement also confirmed that stores under the Gymboree Group brand would ultimately result in the closure of Gymboree stores, outlets and Crazy 8 sites, which account for roughly 900 locations. In addition, the company's Canadian subsidiary, Gymboree Inc., plans to follow a similar path through the Bankruptcy and Insolvency Act of Canada in the Ontario Superior Court of Justice. There are eight Gymboree locations in Connecticut, including those in the Westfield Trumbull Mall, the Stamford Town Center and the Danbury Fair Mall. There’s also a Crazy 8 store in the Trumbull mall. Gymboree Group has sought authorization from the U.S. Bankruptcy Court to continue operating stores during the process, including authority to continue payment of employee wages and maintain healthcare benefits and certain other relief customary in the circumstances. The Company also wants authorization to continue honoring customer gift cards for 30 days. Gymboree Group has discontinued its GymBucks and Gymboree Rewards programs effective immediately. The first time the company filed for Chapter 11 was in June 2017 when it was dealing with debt surpassing $1 billion. 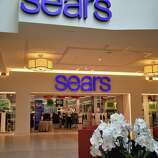 That filing resulted in 375 stores shuttering and the company ridding itself of $900 million in debt, reports said. Amid its latest filing, Gymboree Group has also entered into an asset purchase agreement with Special Situations Investing Group Inc. to sell Janie and Jack to save the brand and its roughly 139-store footprint. There’s a Janie and Jack store in the Danbury Fair Mall as well as a Gymboree. SSIG is a Goldman Sachs and Co. LLC affiliate. “We are focused on using this process to preserve Janie and Jack by pursuing a sale of the business, with the hope that it will continue to serve customers for many years to come,” Kahng’s statement read. Gymboree Play and Music and its 800 locations, which offers developmental play, music and art classes for children up to 5 years old and their parents, is unaffected by the bankruptcy plans. The business separated from Gymboree Group Inc. in 2016 to become a standalone, privately-held company owned by Gymbo Global Education Group, an international education company.